This is a goofy design based on my Arbalest series. It’s not particularly practical (who wants to lift a big stick of orange tanks that long?) but it works so well I figured I’d share it simply as a proof of concept. 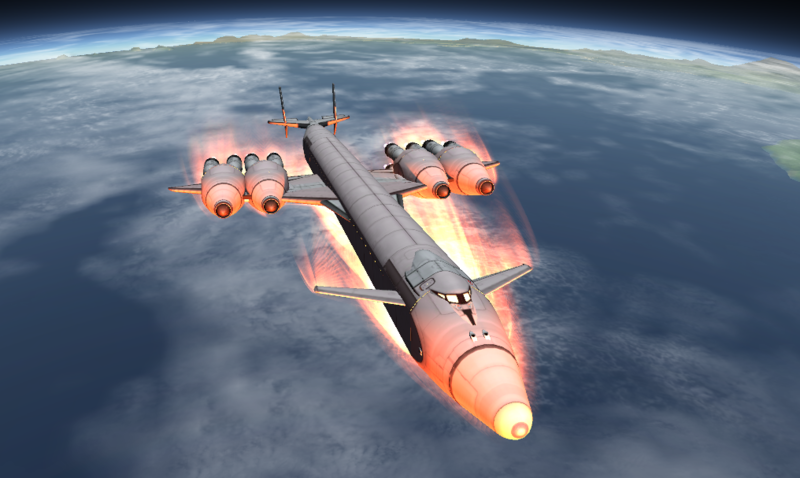 Max Tested Payload 128 tons. 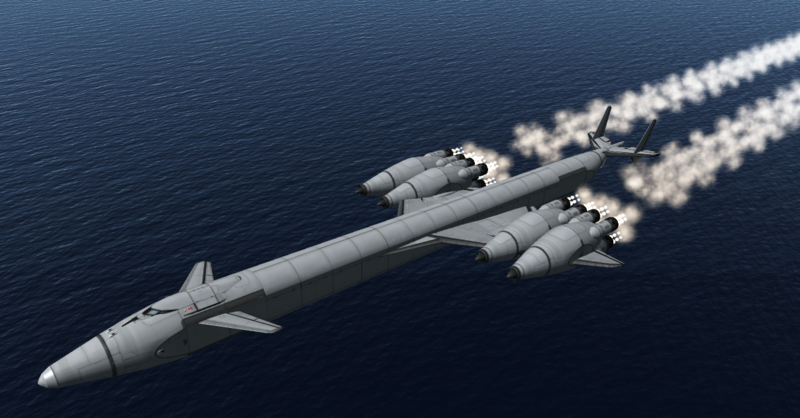 Full throttle takeoff, begin backpressure at 70kph, rotation at 130 kph. Climb at 10 degrees AoA until 1350 kph at 24 kilometers. Engage close cycle rockets and climb at 15 degrees AoA until 71km apoapsis is reached. Circularize at apoapsis. Reentry at 45 degrees indicated, airbrakes extended. If very light on fuel, pump remainder to nose tanks. Nose- down to normal flight below 1400 kph / 30km. A stock aircraft called Ballista. Built with 234 of the finest parts, its root part is adapterMk3-Size2.